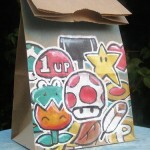 When I was a kid, students that didn’t eat whatever hot lunches that the school sold always had a lunch box (or some kind of insulated food container) with them although I can’t recall a single one that ever used the old fashioned paper lunch sack that was popular back in the days of black and white television. 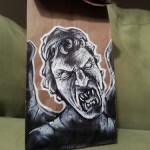 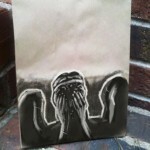 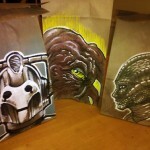 Well, there is one amazing dad that still sends his kids to school with brown paper lunch bags and he draws all kinds of amazing things on them. 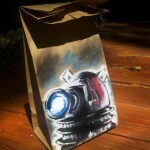 In this particular case, he drew an amazing R2-D2 on a lunch sack although in the past, we have featured a bunch of his other lunch bag masterpieces including the Darth Vader vs Batman lunch bag and the Dalek lunch bag. 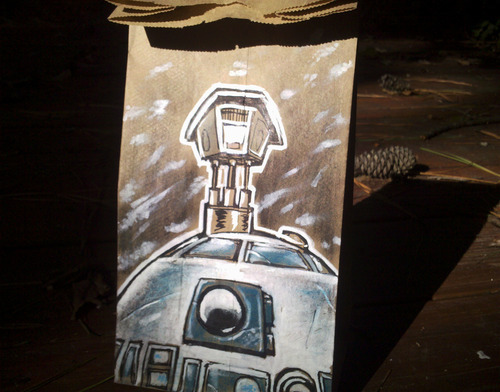 Lunch bag art rules, especially the kind with R2-D2!